From promoting its ancient growing techniques to the trusted taste buds of a sommelier, the process of bringing wine to the market has barely changed for hundreds, if not thousands, of years. But Tmall, China’s leading B2C online marketplace, wants to give wine consumption a 21st century upgrade. 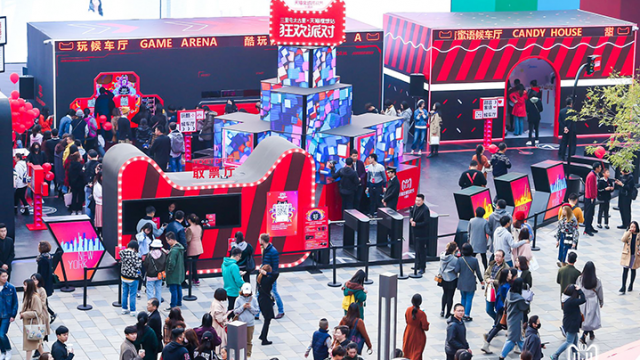 At Vinexpo Hong Kong on Wednesday, a semiannual confab focused on the Asia Pacific region, Alibaba Group-owned Tmall unveiled a host of new technologies for the industry that are a long way from the grape-stomping and oak barrels of old. Tmall showcased a “Future Bar,” which included facial-scanning for entry, a robot waiter, RFID technology to enhance browsing, touchscreen displays for product research and a “Smart Wine Cooler.” The technologies are part of a larger trend in “New Retail,” an initiative in China led by Alibaba to merge the best of online and offline commerce for the benefit of both consumers and merchants. 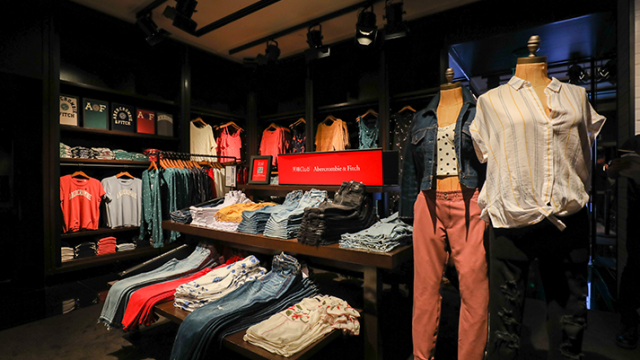 Mike Hu, a senior director at Tmall, said the goal of New Retail is to make shopping more personal, more engaging and more convenient — even in traditionally stodgy industries such as wine. Upon arriving at Alibaba’s booth, attendees were greeted by the Tmall Robot Waiter, who asked, “Hey, don’t you want to have a drink?” — in multiple languages. The advanced human-computer interaction offered a glimpse of the future for wine merchants and their customers, Hu said. The Tmall Robot Waiter serves a drink to an attendee at Vinexpo Hong Kong. 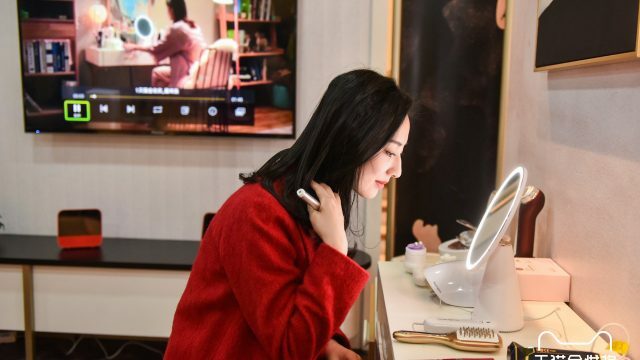 Facial scanning, meanwhile, offered entry to the booth and pointed a still-growing but soon-to-be important part of the consumer experience in China: facial-recognition payments, Hu noted. 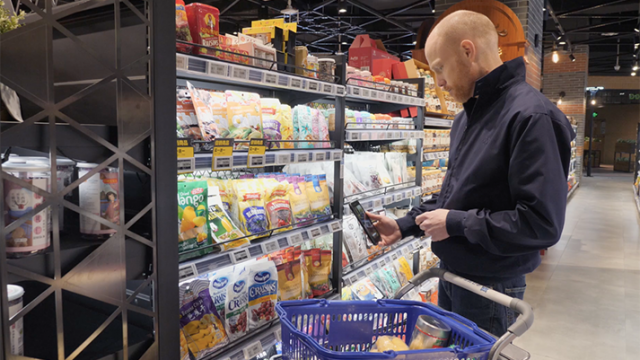 Already, Alibaba’s supermarket chain, Hema (now also known as Freshippo), has implemented the technology in one of its Shanghai stores. 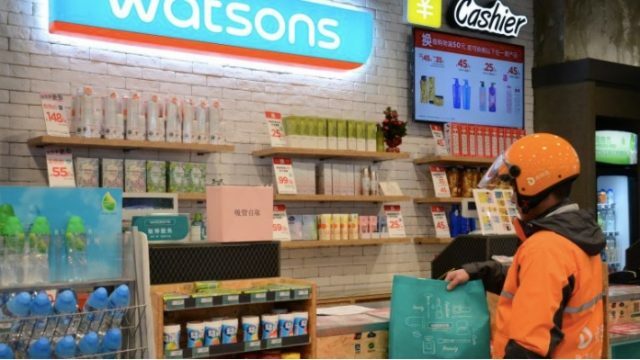 It is being tested in a cashierless store at Alibaba’s Hangzhou headquarters as well. RFID technology embedded in a wine bottle’s foil wrapping knows when a customer has pulled it from the shelf. 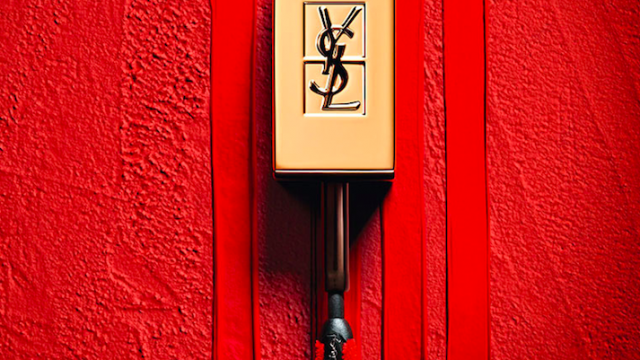 The product information is then displayed on a nearby screen. 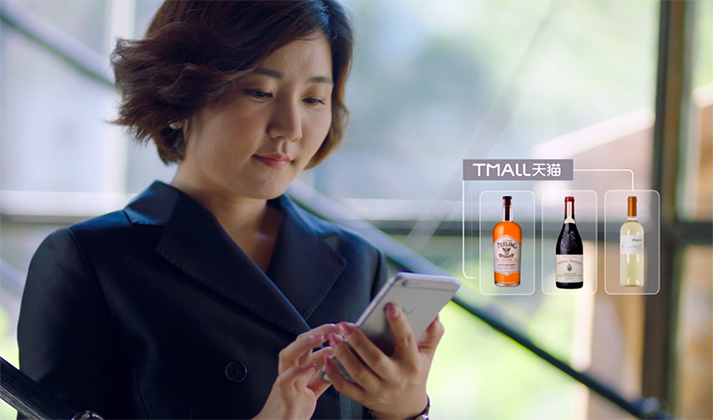 With Tmall’s Smart Wine Cooler, consumers scan a QR code, pick their wine and then simply close to the door to complete the transaction. Asia, overall, is driving global growth in the wine market, according to a new report from Vinexpo. And China is leading that trend. 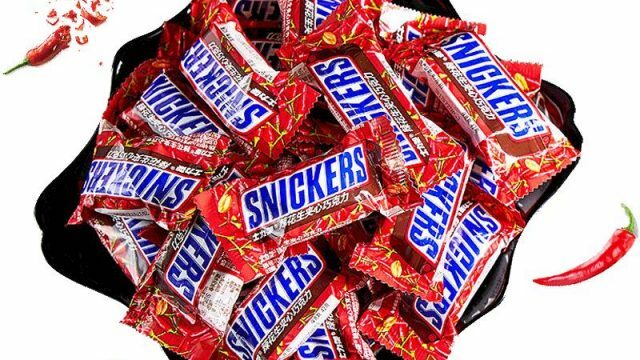 The country was the world’s third-largest importer in 2017 by value, at $16.41 billion, behind only the U.S. and U.K. By 2021, however, China will overtake the U.K. in the number-two spot with $22.97 billion—a near 40% jump. Then, there’s travel to markets where wine is already popular, such as the U.S., Europe and Australia, which gives Chinese consumers the chance to try new varieties. Alibaba signed two memoranda of understanding at Vinexpo on Wednesday, with governmental organization Wine Australia and French wine critics Bettane & Desseauve. 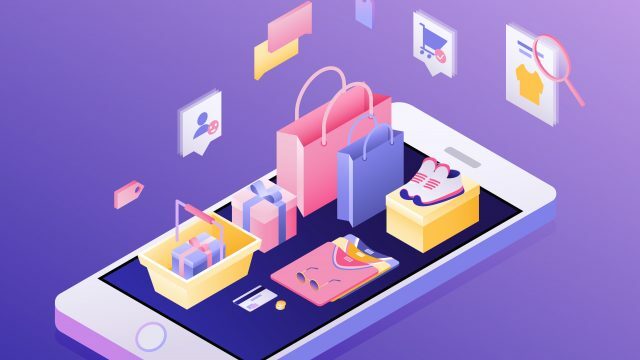 Tmall will work to market Australian wines on the platform and support Wine Australia’s marketing efforts around major events such as the 11.11 Global Shopping Festival. For Bettane & Desseauve, Tmall will use their reviews to complement its wine listings while also hosting their annual top wine lists as they are released. They will also partner on offline wine events in China.